Growing up in foster care, Christian Cruz trusted very few people as he struggled to find a place to call home. Too many people had let him down. He’s lived in five foster homes, one group home and two short-term placements since entering foster care at 9 years old. He’s also been homeless for six months. He’s been stuck in the emergency room until the state’s child welfare agency picked him up. And he’s been incarcerated. He is now a student at Lincoln Technical School. When he left one of his early foster homes, he lost all his belongings. And by his estimate, the family at only one of his placements really cared about him. Cruz’s story about constantly moving reflects a common theme among the roughly 4,000 children in foster care in Connecticut on any given day. On average, a youth in foster care in Connecticut have to move once every 342 days – still much better than the national average of once every 243 days, federal data show. 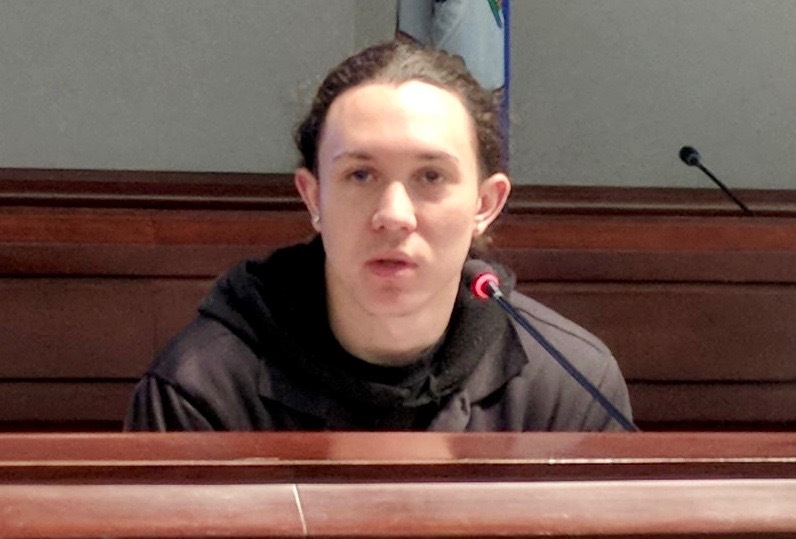 A survey of foster youth by Connecticut Voices for Children, a left-leaning advocacy group that hosted Tuesday’s event, shows the number of places a foster child will live during his or her time in custody varies drastically. In the last year, some children had to move four times. While the average number of places a youth had lived while in custody was three, some had lived in as many as 30 places. The advance notice they had of a move also varied widely — from having a foster mom showing up at school with their bags, to being told by their social worker on the way to their next home to having months to mentally prepare. All these moves are wearing on youth – all of whom are removed from their families because they have been abused or neglected. Kiana Campbell has lost count of how many foster and group homes she has lived in, and has tried to block out those memories. A report released by Voices during Tuesday’s forum pointed to research on the psychological outcomes such instability produces in children. Primarily, youth are more likely to have lifelong issues with building relationships as they deal with anxiety about abandonment and other insecurity-related problems. Breaking this cycle is a challenge. The Department of Children and Families has struggled for years to find enough foster families for these vulnerable youth. In the federal government’s most recent review of Connecticut’s child welfare system, the Administration for Children and Families found that many of Connecticut’s foster families were struggling to get the supports they need, the Voices report points out. Only five state were marked weaker for serving the needs of foster families. 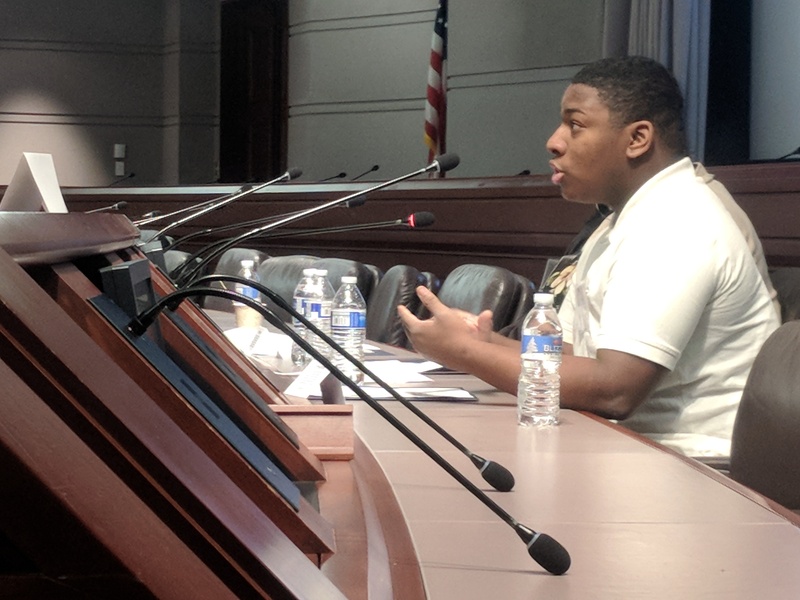 Several of the foster youth who spoke during Tuesday’s event pleaded with state officials, social workers and foster parents in the audience to make time for them, not just give up on them and send them on to the next placement. DCF officials said they have rolled out several things to try to smooth these transitions, including scheduling more meetings with youth before a new placement, trying to provide supports foster youths say they need, listening more, and trying to entice more foster parents to let youths live with them permanently, not just temporarily. But officials acknowledged much more work is needed. “There is work that is happening out there. It may not be able to be offered to every youth in every office, but we are working toward that,” said Tina Jefferson, DCF’s regional administrator for the New Britain and Meriden area.